For the third time in his 15-year NBA career, LeBron James is changing teams. Here's everything you need to know about The Decision 3.0 now that he's agreed to join the Los Angeles Lakers. Inside the King's decision and how it instantly changed the Lakers, the Cavaliers and the entire NBA. The unexpected signings that went down after the LeBron deal are part of Magic Johnson's plan to support his new superstar and his changing game. LeBron James has agreed to join the Los Angeles Lakers, his agency Klutch Sports Group announced Sunday. Our experts answer the big questions about LeBron James, the Lakers, Kawhi Leonard and what the King's move means for the NBA. Now that Los Angeles has landed LeBron James, Kevin Pelton takes a look at what moves the Lakers must make to win it all. Dramatic moves brought Cleveland a championship in 2016. Now they might bring on the pain. Zach Lowe envisions what The Land could become without its king. LeBron James' first act is all but settled as a success. His second act -- to become a global entertainment icon -- is just beginning, as Pablo Torre detailed in this 2017 ESPN The Magazine feature. NBA players react to LeBron James joining L.A.
LeBron James' future Lakers teammates weren't the only ones taking to social media to react to his latest free-agency decision. News, video and analysis: LeBron to L.A.
Cleveland hurting after LeBron James chooses L.A.
FiveThirtyEight: How good will the Lakers be with LeBron? Fantasy: How will LeBron's production change with Lakers? Sources: Stephenson to join LeBron in L.A.
Ramona Shelburne shares what signing LeBron James means to Lakers president and co-owner Jeanie Buss after 18 tumultuous months for the franchise. 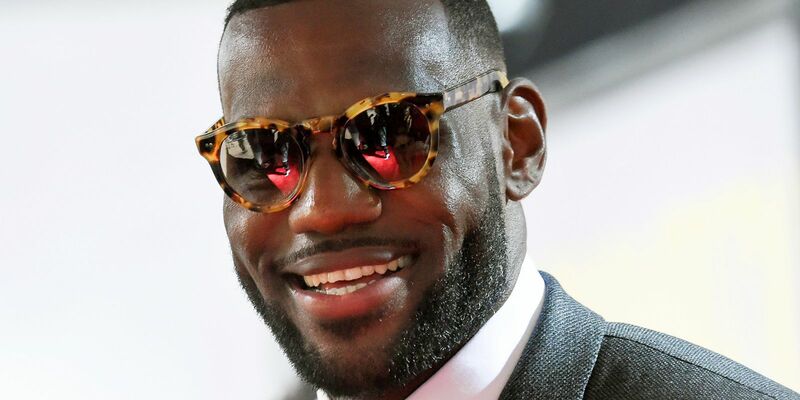 After tweeting about a pizza party at Blaze Pizza in Culver City, California, LeBron James no-shows the event as fans lined up just to meet him. Ramona Shelburne draws out what Luke Walton's season is going to be like with the Lakers now that he's coaching a superstar roster. With LeBron officially signed, what else can Lakers do? Bobby Marks says the Lakers "still have some work to do" with their bench and have a little bit of money to get a shooter. Ramona Shelburne explains that LeBron James and Magic Johnson wanted to surround LeBron with playmakers and defensive specialists.